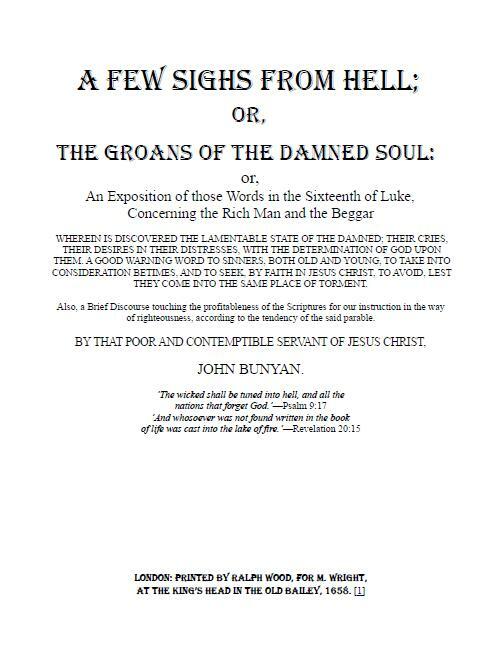 I fell in love with the writings of Bunyan, after having transcribed and formatted his works. He was a mere tinker (mechanic) among men, but in the things of God, as a Theologian and Preacher, he was Par excellence among Theologians and Preachers. So if you are ready to read Bunyan and fall in love with his works, as I have, then click the link in the center and purchase your copy today. 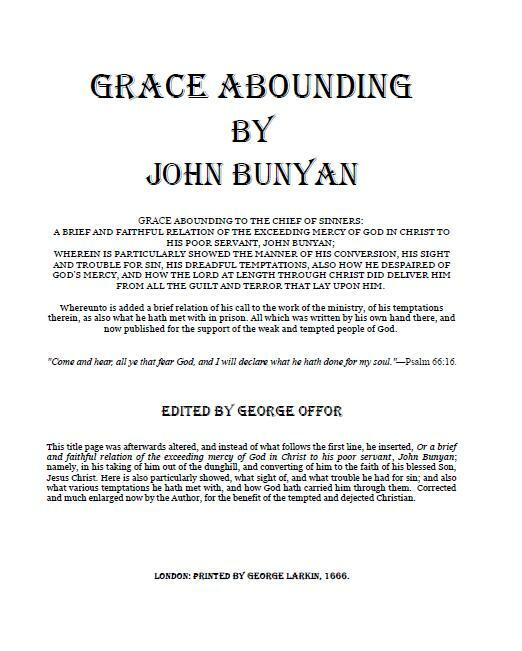 Sample Picture of the Title Page for 'Grace Abounding"